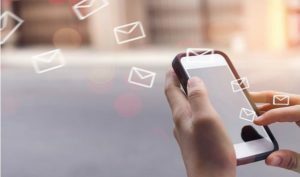 Considering the time any average American spends on the smartphone these days, it is of no surprise that SMS marketing has become one powerful and popular way to just communicate with customers, prospects and VIPs. It has become not just an optional mode but a necessity for the businesses, whether big or small. Through this medium, if used well, people can actually get along with the idea of group texting services well. There are some ideas revolving around group texting service for nonprofits at the same time and all with the same fun. Most of the time, it is the CTA or the Call-to-action mode on the SMS that will either make or break the success related to SMS marketing campaign. So, if you don’ want to break the deal and want more people to get attracted towards your business, you better open eyes for the best CTA notions around here. If you are making plans to turn the text subscribers’ attention right into action, then you can easily test out these calls to action notes and use them in future SMSs. This is one of the most common catchphrases under CTA but you have to be clever enough to use it in the right way and in proper spot. Avoid taking the users to the homepage of your official website as that won’t help all the time. Try to show them something, which they haven’t seen before and that might interest them more. For example, a new payment feature in the official app or description about a brand new item that is available on website might help. You might even try to lead them to a fresh content like any video, new blog post or even a podcast. All you have to do is share the link of the noted URL and tell them to click on it to unwind more. If you have been doing a whole lot of “click here” option in the SMS campaigns then the time has come to switch it up a bit. In its place, you can easily ask the users to just reply to the message instead. It is often proven to be a great way to get the conversation up running and going with the help of audiences and also to gain feedback as asked for. This section can actually work in two major ways. At first, you get the chance to ask them a question or watch out for their opinions. This stage, in most of the time, might generate a whole bunch of responses and will happily engage people in a conversation. Another thing that you might do in this regard is just set up a keyword. Make sure to ask people to just reply with the said keyword. For example, if you are about to launch any new product, it is time to text everyone with some information and land in CTA for gaining more details in this regard. You can further set the system up so that people who might end up responding with “new” are quickly added to new list. Here, you can easily drip them the information about the said new product. Before using this form of CTA, you have to be sure that you are explicit about the conditions and terms well. You might not to present users with an expectation that they might receive around 20% off on their entire order just to make them realize it was 20% on just an item. A promising feature of this CTA is that you get the opportunity to see how most of the texting subscribers are now using this special code. A proficient tip in this regard will help you big time. Always be sure that the offer comprises of an expiration date and that is well mentioned in the text. The last thing you want is to make people try using the discount codes years after it was all done and over with! What will happen if you own any brick or mortar location like small boutique or restaurant? In case, the web purchases are not quite available for your retail businesses, it is time to inform users to show their text messages when they make a purchase or while getting to the counter. This is a great way you can still feel a lot special and can still drive sales. There is no such reason that you cannot use the SMS messaging in the retail stores. All you have to do is just be a tad bit creative about it and how it might work for you well. At some point of time, the online businesses and the retail physical stores alike will just partner with some other firms or organizations. They might be the one hosting special events or just sponsoring charitable cause and want to get a better turnaround from it. If you ever get yourself in one such scenario, you can easily inform the SMS recipients about the upcoming event. For that, you have to send them a text a week or two just before the event takes place and then send couple of more just reminders as it might get closer to the real deal. This step will not guarantee that everyone on the messaging list will show up to support you and your event but it will help get some more foot traffic than expected through other messaging forms. As an additional tip, you better remember to add a link to the Google map in the text message so that people get to know exactly where they have to be to get associated with the event. Your CTA or call to action needs to be powerful and also meaningful. Anything meaningless or vague won’t work and you might lose customers this way. So you better be careful with the choice you make and its placement.